If you’re looking to grow your dental practice or cosmetics clinic with a marketing strategy that works, then you are in the right place. We understand that as a dentist or a cosmetician, the day to day running of your practice takes up a lot of your time. It’s not unusual for marketing to take a back seat. However, in such a competitive industry good marketing can be the difference between getting patients into your chair, or them going to someone else. We took over the running of their social media and PPC campaigns, allowing them to appear prominently in Facebook and on Google to an engaged user with strong intent. At Xpand, our expertise in the dental sector means that our team can bring the necessary skills and experience to your project to drive what matters most: patient acquisition and retention. Whether you are a small local practice or a national brand, our SOLAR 7 model can help you grow your practice to where you want it to be. 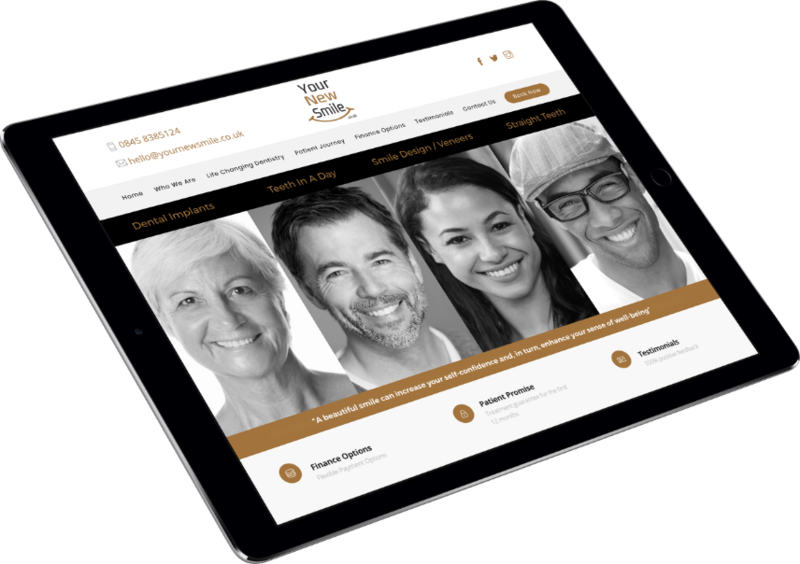 We also work closely with the cosmetic industry, from Botox and fillers to micropigmentation. Whether you are an SME or a national player in the dental sector, the SOLAR 7 marketing model can help you to grow your dental business to where you want it to be. A bespoke marketing strategy for a dental practice can make all the difference to your business. A strong strategy will allow you to focus on the right channels for you, and ensure that those channels are working to help you get more customers. By making sure you appear at the top of the search results with our dental SEO service, we can make sure that your potential patients find what they’re looking for. We also offer dental pay-per-click marketing, to push you to the top of the search results at the moment that potential patients are looking for your services. This gives your practice the potential to funnel patients from query to conversion. After all, the conversion is what it is all about, and if your website is not converting patients, it is just holding you back. We are delighted with the on-going communication, structure and ultimately the performance. Working with Xpand is absolutely one of our best decisions. The team have become an integral part of our business. Facebook marketing for dentists is an effective way of creating brand awareness with potential patients while generating real tangible leads for your practice. Xpand has a track record of delivering leads to dental practices with our dental social media marketing, with 3,100 leads in 20 months for one dental client. If you’re looking to grow your dental practice, we can help. Let’s talk.